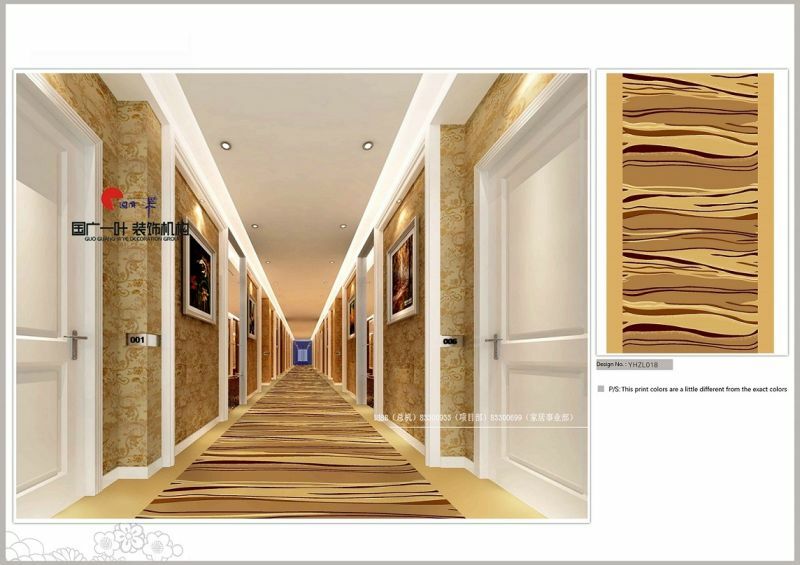 Find Machine Made Nylon Carpey, Machine Made Carpet, Hotel Carpet on Industry Directory, Reliable Manufacturer/Supplier/Factory from China. Model NO. 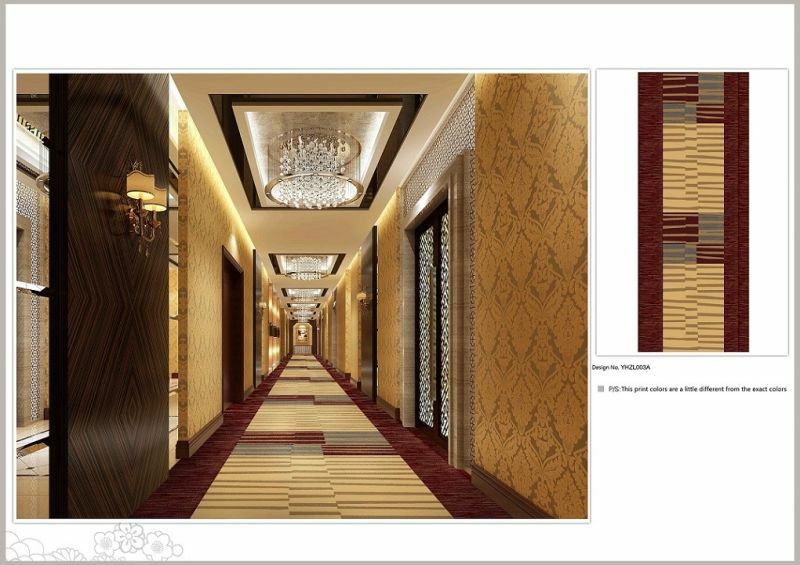 : Corridor Series YHZL003A Usage: Home, Decoration, Commercial, Hotel Thickness: 4mm-9mm Feature: Corrosion-Resistant, Anti-Bacteria Installation Location: Floor Carpet Trademark: changyue Specification: Width Within 4m, No Limit for Length HS Code: 57033000 Material: Chemical Fiber Technics: Tufted Design: Modern Product Form: Carpet Size: 4mx25m Transport Package: by Roll with Plastic Bag Origin: China We are a professional carpet supplier since 2004, mainly supplying machine tufted carpets, machine woven axminster carpets, wilton carpets, nylon printed carpets, Carpet Tiles, hand tufted carpets, rugs, cowhide patch rugs and whole cowhide rugs, Sheepskin Rugs, carpet underlays , bamboo rugs and vinyl floor coverings and wall coverings for hotel, office, home, commercial and entertainment uses. For more colors and designs and qualities, please contact us without hesitation, there must be one or more styles to fit you. 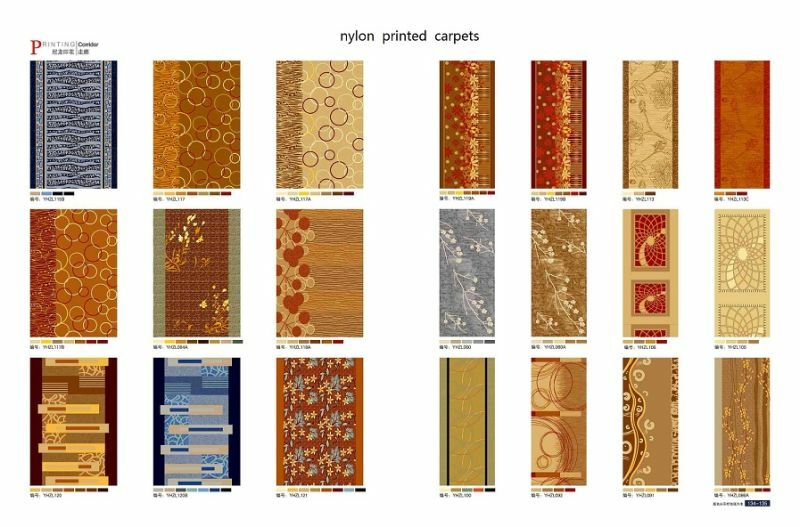 Contact us if you need more details on Machine Made Nylon Carpey. We are ready to answer your questions on packaging, logistics, certification or any other aspects about Machine Made Carpet、Wall to Wall Carpets for Public Areas. If these products fail to match your need, please contact us and we would like to provide relevant information.